The CZ 75 Kadet Adapter II 22 LR conversion kit is a separate accessory for the CZ 75/85 pistol series allowing the firing of .22 LR caliber cartridges. The CZ 75 fitted with the Kadet .22LR conversion is the perfect training or plinking pistol with the slide weighted and balanced just like the CZ 75. The Kadet adapter features all-steel construction and an adjustable rear sight. Included are 2 10-round magazines that fit flush with grips of the full size CZ 75 and SP-01 models. The Kadet conversion kit will work on the CZ 75 full-size and compact models including the 75, 85, SP-01, 75 Compact, P-01, P-06, and PCR, but note that the full-size magazines will extend out of the bottom of the shorter grips on these models. The Kadet conversion will not work on the 97, 75 TS, 2075 RAMI, SP-01 Phantom, P-07 or P-09 models. When used on an aluminum-framed compact model (PCR, P-01 and P-06) as well as the steel-framed Compact .40, a PCR slide stop should be used for proper last-round hold-open. On 85 models, the 85 slide stop must be used but will not enable last-round hold-open. When used in competition-oriented or modified 75 series pistols like the Shadow, a factory-weight 75 mainspring may be required to provide proper primer ignition. SPECS: Fits – CZ75, 75B, 85, 85B. Ammunition – 22lr. 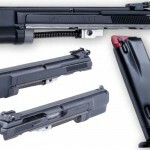 Magazine Capacity – 10 rounds. Magazine Type – Single stack. Weight – 1.050 lbs. Overall Length – 8.110″. Barrel Length – 4.720″. Barrel – Cold Hammer Forged. 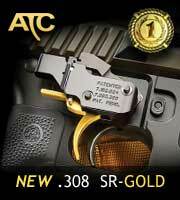 Sights – Adjustable Three-Dot.